For our students, music isn’t just an interest or a career aspiration, it’s a lifestyle. Our true small class sizes allow us to get to know you and care about who you are and what you want to accomplish. OIART is a unique school and program like you’ve never experienced before. It’s eat, sleep and breathe music and sound for 11 months straight. The program is 100% audio and technology all the time, there are no filler or irrelevant courses. We go to great lengths to cultivate an environment that is inclusive, supportive, collaborative and diverse allowing you to be free to express your creativity. You’ll be surrounded by like-minded people who share your passion for sound. You’ll develop life long friendships in addition to a professional network. In an environment like this, you’ll be shocked at how much you can learn. We’ll help you uncover hidden talents, challenge, mentor and guide you on your path to becoming a respected audio professional. A revolutionary and truly unique program with over 35 years of development and experience. 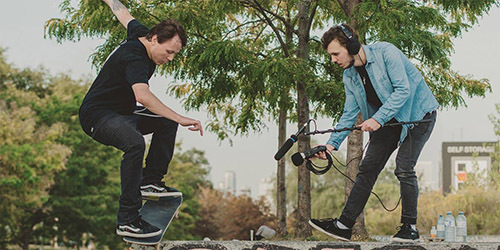 A highly efficient single program which simultaneously prepares graduates to work in any audio discipline – from music production to live sound and event production to audio for visual media. No confusing options, no career limiting decisions about which program to take, and no irrelevant “filler” courses to pad it out. 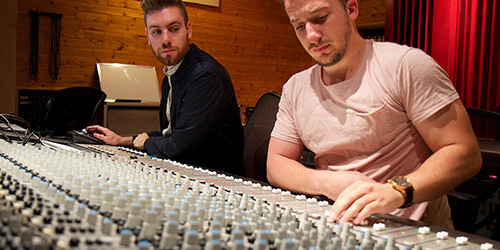 A program which is highly responsive to changes within the audio industry, teaching the skills in demand for the careers of tomorrow, not the old out-dated music industry model still clung to by other schools. OIART is the only school with a single program with one start date, accepting a maximum of 68 students per year. Unlike what the competition claims, OIART offers true small class sizes with unprecedented access to faculty and facilities, more individual attention, more hands-on time, more career support and less competition for jobs. That’s why our program completion and job placement rates are higher than all the other schools. Our size is our strength, our history of successful grads is the proof. 8 creative spaces that are a canvas for you to freely express your creative genius. Our true small class sizes and extensive audio production tools and studios allow for more hands-on time than any other program. Real world projects empower and challenge you to take your production skills to the next level. You’ve never experienced classes like this before and you’ve never experienced a group dynamic this exciting and engaging. Be included in our diverse yet like-minded, small and select group of students that are united with a passion for sound. Share and exchange ideas, be inspired, critiqued and mentored as you develop your audio portfolio. Join an exclusive global alumni network of over 1100 working professionals. 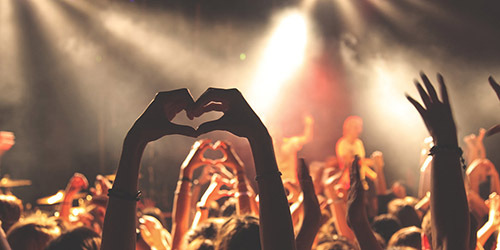 Through our life-long career support you’ll access our network of employers that know OIART’s reputation and name are highly respected in the audio industry. You’ll be part of over 35 years of constant professional development and employer relationship building. Our guiding philosophy is fundamental to the design of the best education in music & audio production. We strive to deliver an unparalleled student experience. At OIART, your future IS sound. #1 Job Placement Rate in the country! A single, diverse professional audio program. No career limiting decisions about which field to pursue. Enjoy a wider range of career options and flexibility to change careers – more outlets for your creativity! Only one program and one start date per year. Fewer students means more personal attention, more opportunity for participation and less competition for access to instructors, equipment, studios or jobs! Over 650 hours of hands-on time to create, collaborate, and produce. More hands-on time means you’ll learn more and gain more experience and confidence. At 71% industry placement within 6 months, OIART outperformed its nearest competitor by over 16 percentage points and is 60% higher than their lowest competitor. That’s not just any job, that’s full-time employment as an audio industry professional. A proven history of over 35 years of success with a track record of successful graduates. OIART has best reputation in the industry. Every year almost half of our students come from word of mouth, referred by graduates, teachers and industry professionals who know OIART’s reputation. Learn in demand current skills for today and the audio careers of tomorrow. No filler or “padding” to make the program unnecessarily longer. No history lessons about the outdated music industry model.